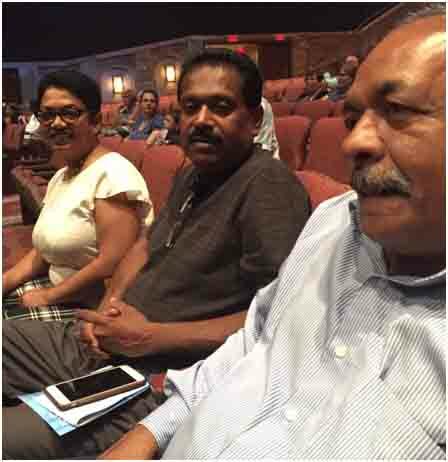 On 01 July 2017, we along with Stephens, our travel companions, set out early morning to Lancaster, Pennsylvania, USA. After eight hours of car ride from Toronto, we reached our hotel and checked-in by about 10 AM. Lancaster is nicknamed the Garden Spot of America or Pennsylvania Dutch Country and located in South Central Pennsylvania. The county is home to America’s oldest Amish settlement, where thousands still lead the age old lifestyle – without motor cars, without modern gadgets like cell phones, computers etc – but with their horse buggies, ploughs pulled by mules, homes without electricity etc. It is called Dutch Country as most Amish settlers are of German (Deutsch) descend and have nothing to do with the present Netherlands. It is called the Garden Spot because of the well drained plain farmlands which support agriculture, the mainstay of the Amish people. In the evening we watched the Biblical Stage Show – Jonah by Sight & Sound Theatre, a Christian faith-based, company -complete with grandiose sets, costumes befitting the time period, music and songs, use of modern technology like GPS to move various props around the huge stage – it was amazing. The center stage was very wide, and they also had props and action the left stage and the right stage. They used the aisles in the seating area too for the actors and animals to make their entry. They lighted up the ceiling of the theatre to immerse the audience into the ambience of day, night, storm, underwater – it was a journey into a different world. The cast was fantastic and everyone fitted into their roles and the story being told very well. Kudos to the technical and arts team, the changes of the sets were flawless and smooth. In minutes one was transported from a little town to a sea port, then to a ship bumping through the storm ravaged seas to an evil town. The props were magnificent and huge -especially the ship covering almost half the stage. The details have been really gone into designing the ship with all its sails, masts and the most amazing was the lower deck when the hull opens to show the inside of the ship. Truly Fantastic! It was real technical wizardry and art on display all through the two hour show. They have made three dimensional ancient cities come live with people and animals. 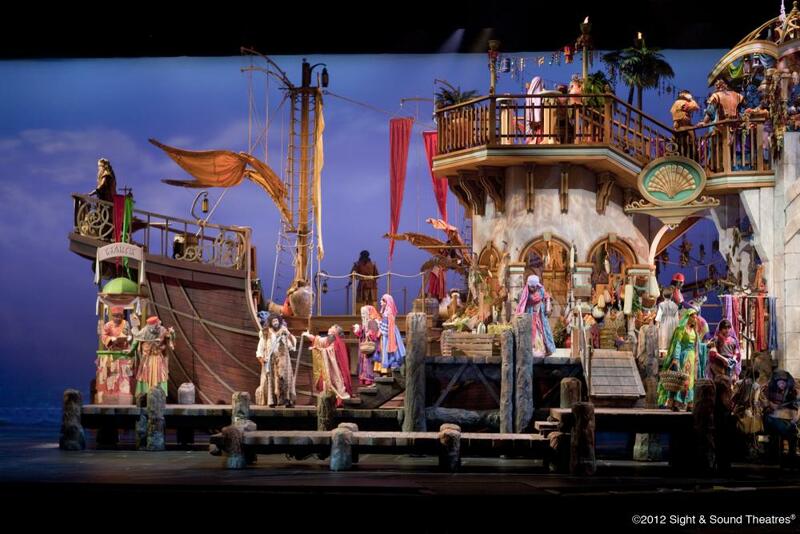 A fleet of boats sailing across the stage, and a 50 foot ship being tossed up and down in a storm at sea is amazing. After intermission, the entire theatre is transformed to an undersea world with schools of exotic fish swimming about, beautiful iridescent jellyfish floating above our heads, sharks prowling for prey, colourful clownfish and seahorses swimming around, and a giant whale swimming over our head. The story of Jonah has been scripted very well with a fine touch of humour. The story has been extended to fill two hours, but will never distract the audience even for a second. The story dates back to about 700 years before Christ where in a boy, Jonah gets a prophecy from God about the victory of the king of the Israelites. When it comes true, he is declared a prophet and everyone waits for more prophecies. God does not appear to Jonah thereafter, but the people of Gath-Hepher erect a heroic statue of him. One day God ordered Jonah to go to Nineveh to declare the city’s wickedness and impending destruction. Jonah does not want to save the people of Nineveh as his father was killed by soldiers from Nineveh and he hates the city and its people. This forces Jonah to flee. He goes to Joppa, a seaport and embarks on a ship sailing to Tarshish. A storm rages and the ship is battered and tossed around by it. Jonah, realising that the storm is God send to curtail his journey to Tarshish, orders the Captain to throw him off the ship. Thus the storm dies down. Jonah falls into the deep sea and the audience are transported into a serenely beautiful undersea world. Jonah is gulped down by a huge whale and he survives this encounter for three days. He repents and prays to God for mercy. Now God wants Jonah to help the people of Nineveh find redemption. God ensures that Jonah is thrown out from the whale’s stomach to land in the City of Nineveh. Jonah keeps avoiding the people of Nineveh as he hates his father’ killers, but ultimately understands the idea of forgiveness and redemption and saves the people. The music and the songs in the play were apt and spectacular, especially the powerful voice of the Queen of Nineveh. The show was supported by about 25 stage technicians who run the show and the 48 actors who star in it. They all have done a remarkable job bringing a story alive both as a spectacle and as a Biblical message. Some history behind the Sight & Sound Theatre. It was founded by Glenn Eshelman who painted landscapes as a boy. As he grew up, Glenn continued to pursue his artistic interests, eventually buying a camera to take reference photos for his paintings. After marrying Shirley, Glenn sold his artwork out of the trunk of his car to make a living. In 1964 he presented a scenic photography slide-show at a local church using a slide projector, a turntable for musical underscore and a microphone for narration. This was the first unofficial “Sight & Sound” show. By the mid-1970’s, Glenn and Shirley took their slide-shows around the United States. They formed the Living Waters Theatre in 1976, marking the birth of Sight & Sound Theatres. In January 1997, a devastating fire destroyed the theatre, but the couple rebuilt it in 18 months. The new 2000-seat, state-of-the-art theater featured a massive, 300-foot panoramic stage that wrapped around the audience, with the ability to house sets four stories tall. They have now further enhanced the theatre by incorporating the modern technological light & sound equipment and software, coupled with other technologies like GPS and digital communication.